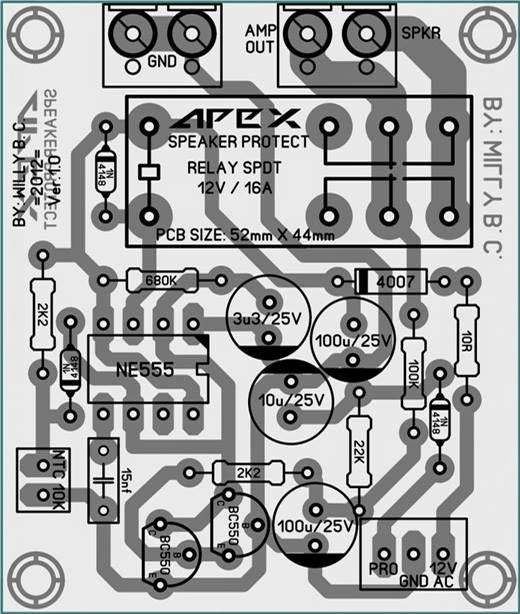 This Circuit of Audio Speaker Protector using IC 555 , Here I will present two pieces of layout scheme audio speakers protector , audio speakers protector serves as speaker protection , and power amplifier . 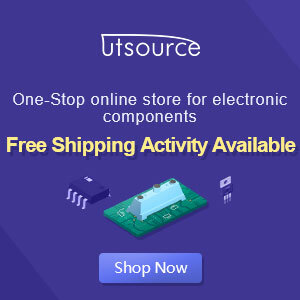 Especially on the power amplifier protection system , in case of surge in the output of the power amplifier , the output power amplifier automatically be disconnected with the speakers . By using the relay as the breaker connection power amplifier with speakers . 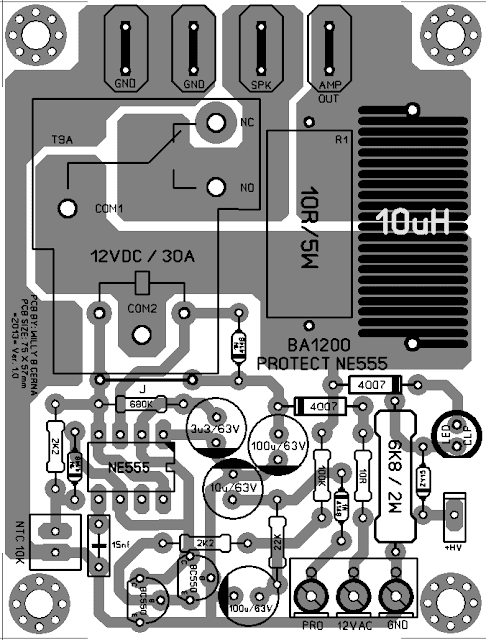 So that speaker power amplifier secure and safe.Below the layout scheme of Audio speaker protector. Using ic 555 as a basic circuit, and as a driver relay . 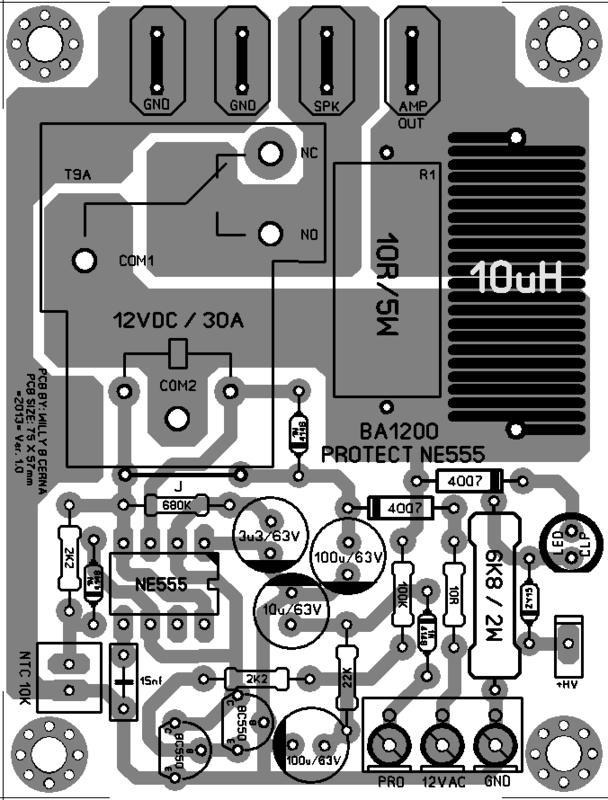 la base du transistor BC550 est a la masse ???? What is the pro and +hv connection ?